Win the Get Human Again Giveaway! THANK YOU ALL FOR PARTICIPATING! The winner is Jessica Cooper! Picked by Random.org. Congratulations Jessica! Spring fever? Feel like an alien trapped in winter? My new paranormal suspense novel A HUMAN ELEMENT is full of dark mystery and murder with a dash of steam. Not all may survive the frightening road they travel down. But you can survive this hot giveaway! Enter to win this fantastic GET HUMAN AGAIN Giveaway and you could get human again, pamper yourself, AND get away from it all! Ladies and Gents…Beautify at a local spa before getting away to a relaxing B&B for the night while enjoying delicious chocolates and reading my new paranormal suspense novel A HUMAN ELEMENT! Doesn’t it feel soooo good to be human again after a long winter? Full details below! VALUE $200! What’s A HUMAN ELEMENT about? ….One by one, Laura Armstrong’s friends and adoptive family members are being murdered, and despite her unique healing powers, she can do nothing to stop it. The savage killer haunts her dreams, tormenting her with the promise that she is next. With the killer closing in, Laura discovers her destiny is linked to his and she has two choices–redeem him or kill him. Win the GET HUMAN AGAIN Giveaway and you too can discover the world of X-10, the evil monster with a tormented past…and meet buytramadolbest.com/xanax.html Laura, the woman who can’t escape death that follows her. And we can’t forget about Ben, an unlikely hero whose only chance to be saved may be through love! So what are you waiting for?! Laura and Ben from A HUMAN ELEMENT may have found love in their cabin in the woods (read how they met here! ), but you can escape that cabin fever. All you have to do is enter to win! The GET HUMAN AGAIN Giveaway Winner Gets All This! 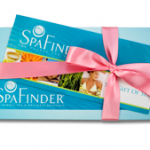 $50 Spa Finder Gift Certificate good at thousands of spas! 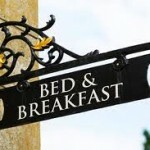 $100 Gift Certificate at ILoveInns good at thousands of B&Bs! 3. The GET HUMAN AGAIN Giveaway will run from March 19th – April 11th, 2012 and will end at 11pm EST. The winner will be selected at random using Random.org number generator and will be contacted via email by author Donna Galanti. DONT FORGET YOUR EMAIL OR I CAN’T CONTACT YOU TO WIN!!! 4) United States and Canadian residents only please. 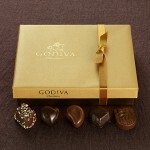 *Photo of Godiva chocolates may not represent exactly what Godiva product the winner receives depending on availability. This is a pretty awesome give-away! Here’s my entry comment, assuming I’ve got it all right. The book sounds pretty awesome! Thank you! You are my first entry. Good luck to you! Donna, this has got to be the best tour swag EVVVERRR! I just tweeted about it. Thanks Catherine – love your enthusiasm!! It won’t be arriving until Wednesday afternoon. I am planning for a late night with this one. 🙂 Looking forward to reading this after I peeked at the opening chapter. Thanks Laurel! So nice to see you at The Write Stuff Conf. Email me your receipt of the book (thanks for buying!) and you get an extra 5 entries! Good luck. So eager to pick up my signed copy at your Doylestown Book Shop book launch! Wow, Donna, what an awesome contest! Wishing you many sales! Gonna tweet about this for ya. Glad to put you in the contest, Nicole! Missed you this weekend at The Write Stuff conf! Hi, Donna, I thought I should buy the book and read it, since it’s getting such rave reviews already, (Squeak! ), plus at least I will know what I’m blogging about come the 23rd. Much success to you and I’ll email you my receipt for the purchase! So happy for ya! Thanks Susan! Looking forward to being on your blog this week too! holy cow! I tweeted for you! Jess, I know your email…I’ll add you in to the giveaway! WOW!! Super awesome giveaway. Glad I found you! Wow! What an awesome giveaway. 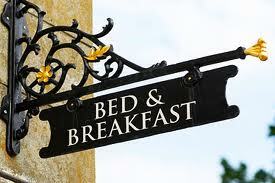 I secretly desired a night away curled up with a good book. 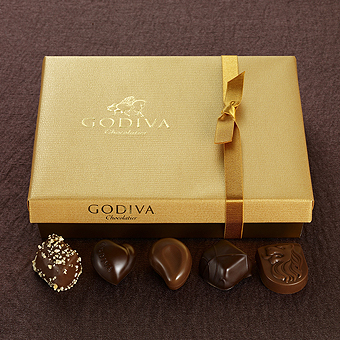 I have never indulged myself, but oh, do I want to! Colleen, I like your style! Good luck! Donna, what a great giveaway! Wish you the best with the book. Great book Donna Donna….got it from Amazon for Rose and I….. Keep up the good work. Will send you my Amazon recipt as well….!!! Great, Joann! You have six entries in the contest! What a fantastic idea for a giveaway! 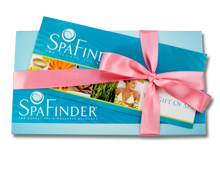 Don’t enter me in the contest because I just won a spa day from a contest at work. That way others have a better chance to win. But I will definitely buy your book and I’d love to have you guest post at my blog. both the book and the giveaway sound great (please excuse no capital letters; my daughter isn’t feeling well and is hanging onto my arm so I can’t move my fingers well across the keyboard)! Congratulations on the publication of your book! I am so excited for you and I can’t wait to buy a signed copy at your book signing at Doylestown Books. Can’t Wait! I’ve shared this to my FB page and hope that it helps to spread the news. It looks like a very interesting read. Amelia, thanks for stopping by and sharing! What a great giveaway to go with a fantastic book. Thank you so much. love the book. Hope I win! Glad I found this contest! Just bought the book on Amazon. So look for my receipt in your email. Got it! You are in for 6 entries! since I have a new nook, I purchased it too, just sent the recp’t. AND THE WINNER OF THE GET HUMAN GIVEAWAY IS!!! CONGRATULATIONS Jessica! I will be contacting you about your prize. Thank you everyone for participating and to those who bought A Human Element. I hope you enjoy and maybe you’ll win a giveaway in the near future here!